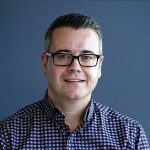 Darren commenced his accountancy career in 1993 with HLB Mann Judd in Brisbane starting as Office Junior before completing his Bachelor of Business (majoring in Accounting) in 1998. Darren then moved to Sydney in 1999 where he joined Hill Rogers Spencer Steer as Senior Accountant becoming a fully qualified Chartered Accountant in 2002 (and also where he met his wife Rebecca). 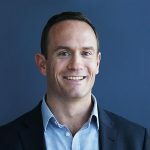 Darren joined Bell Partners as a manager at their new King St Wharf offices in 2003 becoming an Executive Director up until 2008 when he opened the first satellite office as Managing Director of Bell Partners on the Gold Coast. Darren then relocated the Queensland office operations to South Bank in Brisbane in 2012 where they are today.